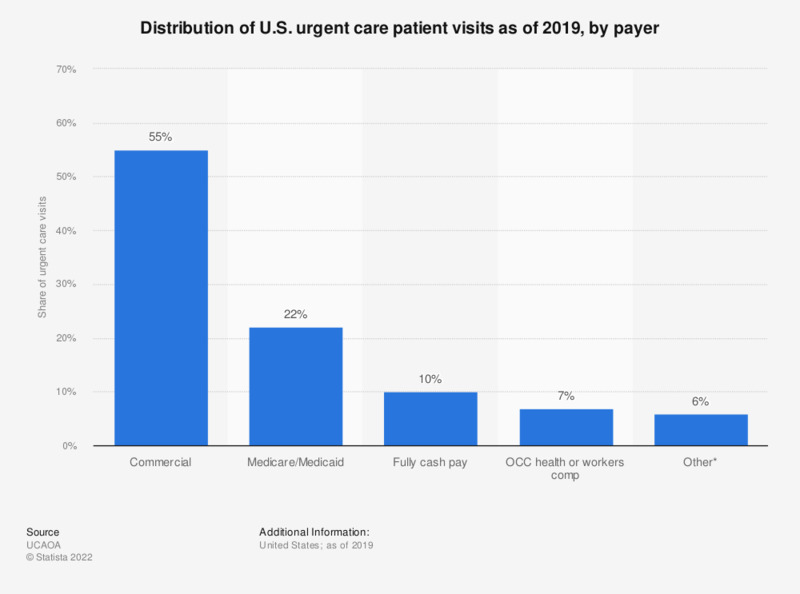 This statistic describes the payer distribution of urgent care patient visits in the United States in 2017. In that year, some 17 percent of all urgent care patient visits were covered by Medicare or Medicaid. * Tricare, work comp, direct bill employer services.